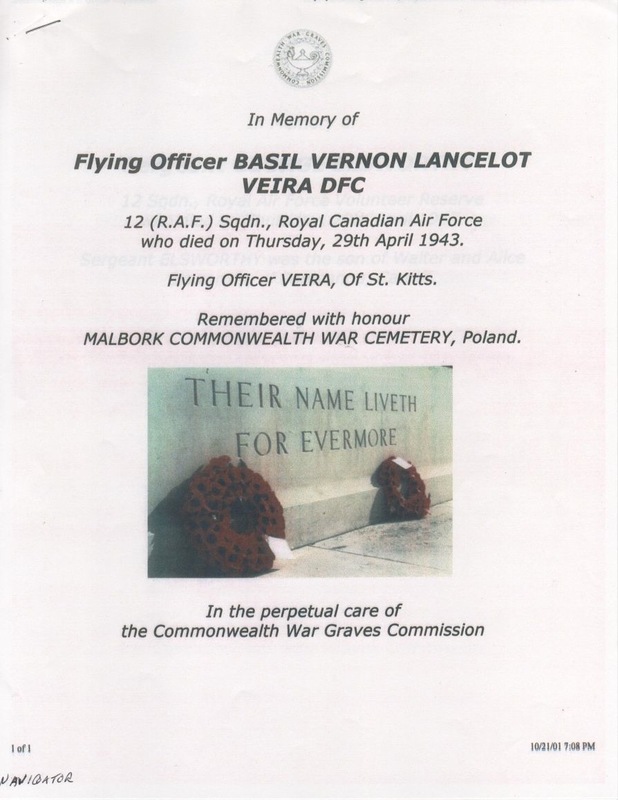 VEIRA, F/O Basil Vernon Lancelot (J10677) – Distinguished Flying Cross – No.12 Squadron – KIA 28 april 1943. 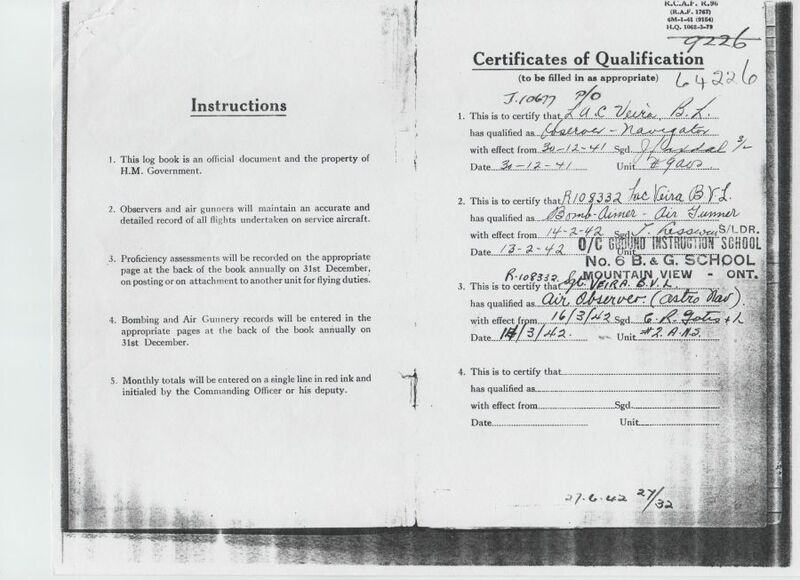 Award effective 27 April 1943 as per London Gazette dated 20 June 1944 and AFRO 1660/44 dated 4 August 1944. 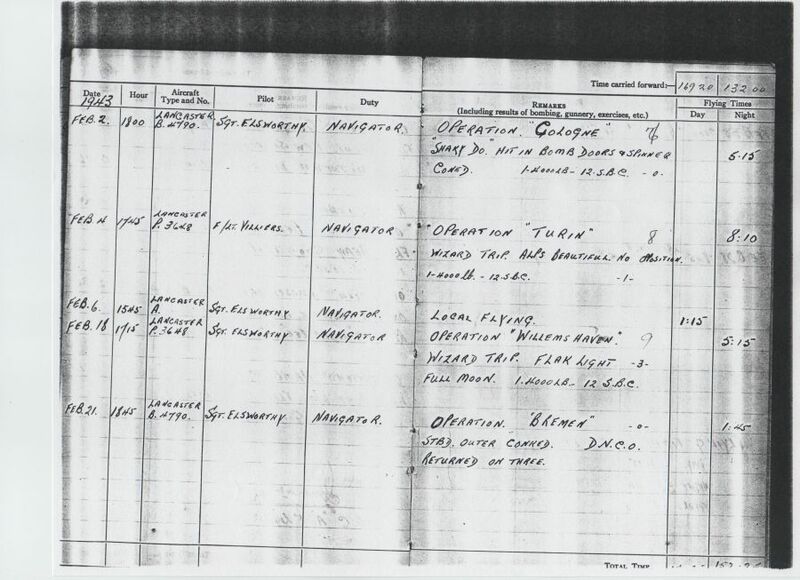 Born 4 April 1914 in Basseterre, St.Kitts, British West Indies; home in Montreal; enlisted there 25 June 1941. 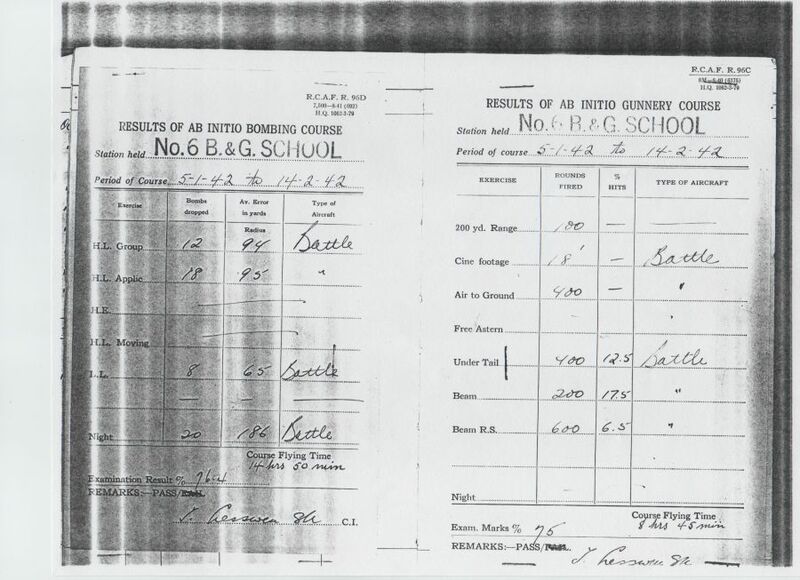 Attended No.3 Initial Training School (graduated 6th in a class of 18 observer candidates, 13 September 1941), No.9 Air Observer School (graduated 7th in a class of 22, air and ground subjects, 3 January 1942), No.6 Bombing and Gunnery School (graduated 9th in a class of 27 on 14 February 1942, received Air Observer Badge that date), and No.2 Air Navigation School (graduated 16 March 1942 in a class of 89, having stood 3rd in ground subjects and first in air subjects). 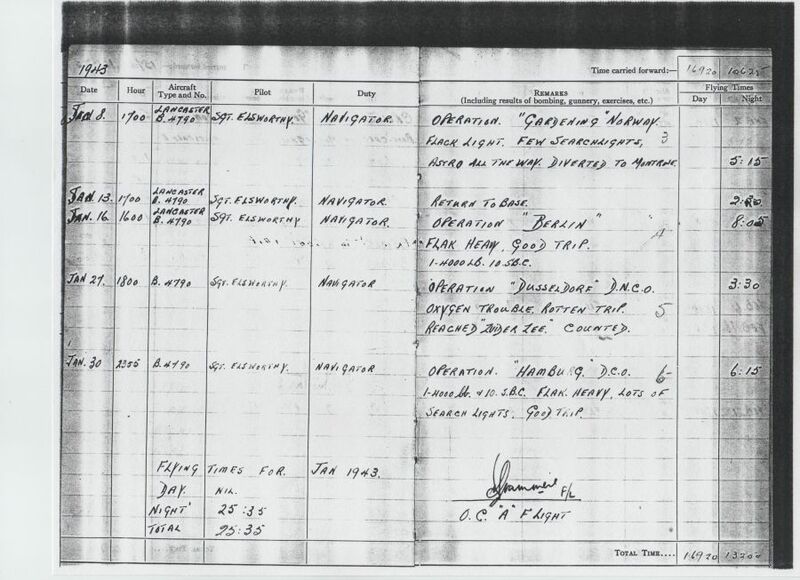 Further trained at No.31 General Reconnaissance School, Charlottetown, 10 April to 14 June 1942 (graduated 14th in a class of 26; his performance described as “disappointing”). 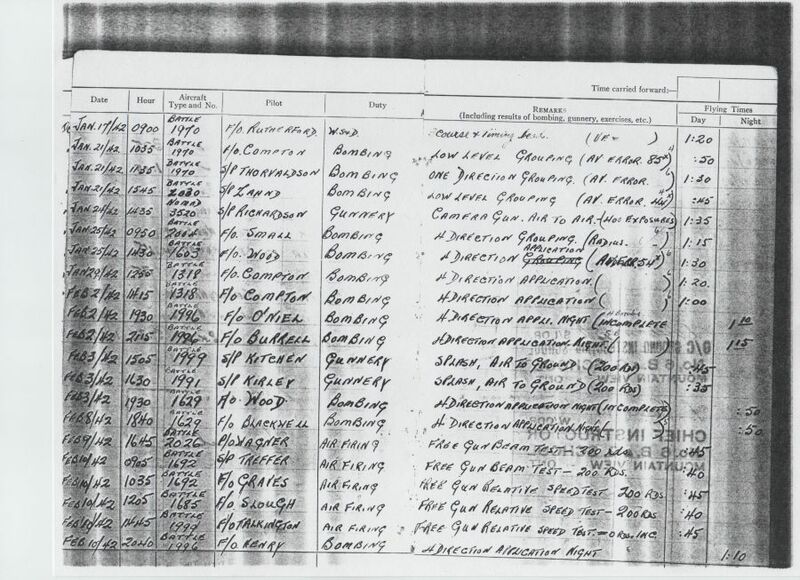 Embarked for overseas, 16 June 1942; taken on strength of No.3 Personnel Reception Centre, Britain, 25 June 1942. 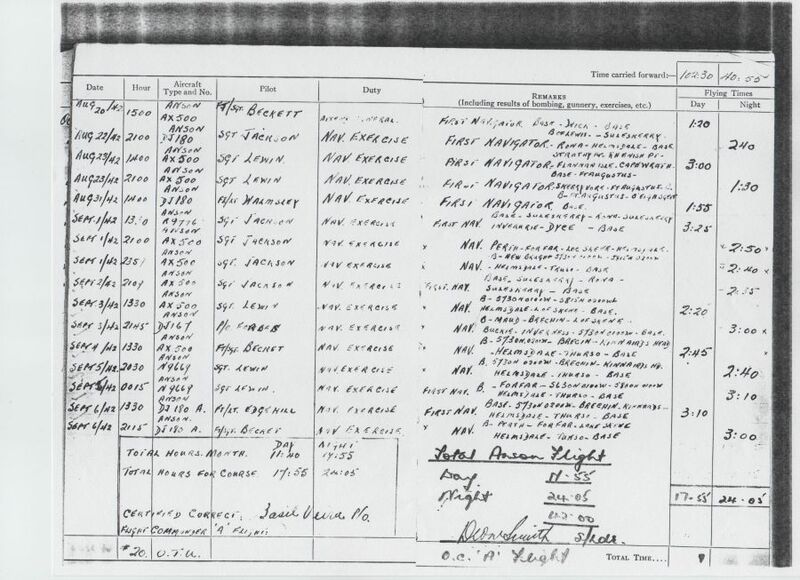 Posted to No.20 Operational Training Unit, 13 July 1942; posted to No.12 Squadron, 21 October 1942. 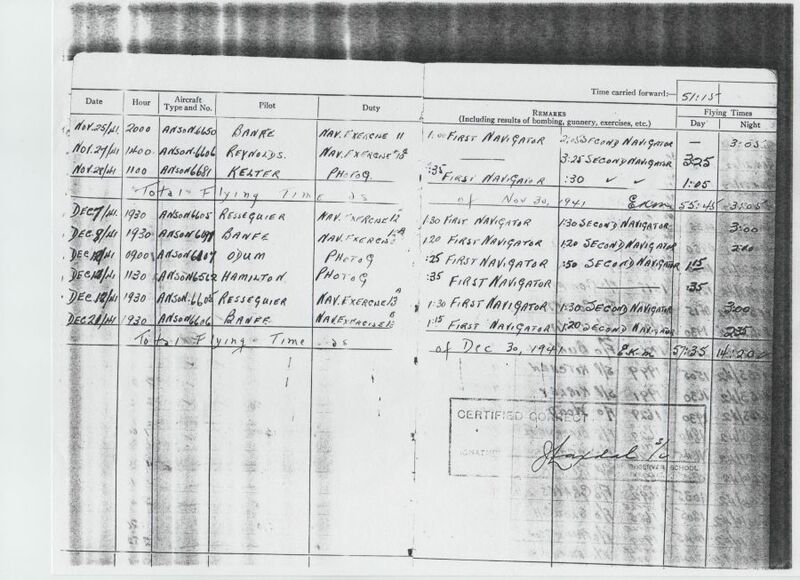 Ranks: Aircraftman, Second Class on enlistment, 25 June 1941; promoted to Leading Aircraftman, 28 September 1941; promoted to Sergeant, 14 February 1942; commissioned as Pilot Officer, 16 March 1942; promoted to Flying Officer, 1 October 1942. 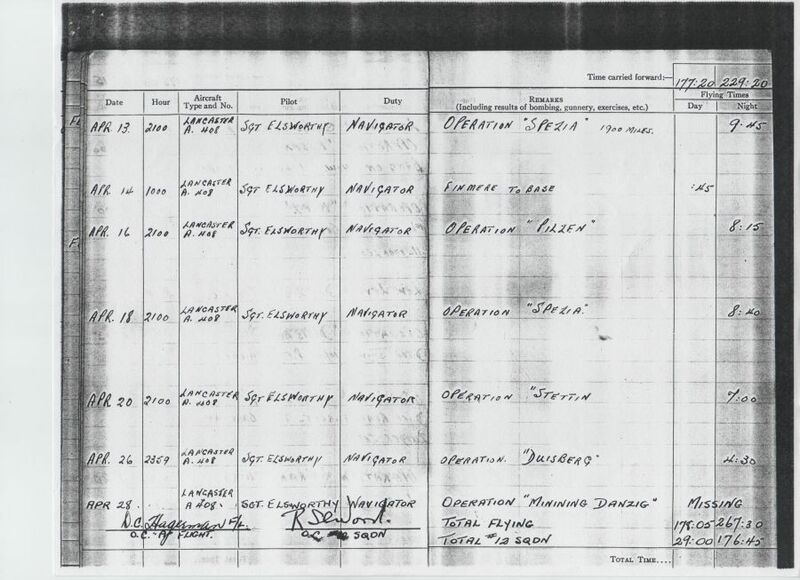 Killed in action 28/29 April 1943 on Lancaster GB408. 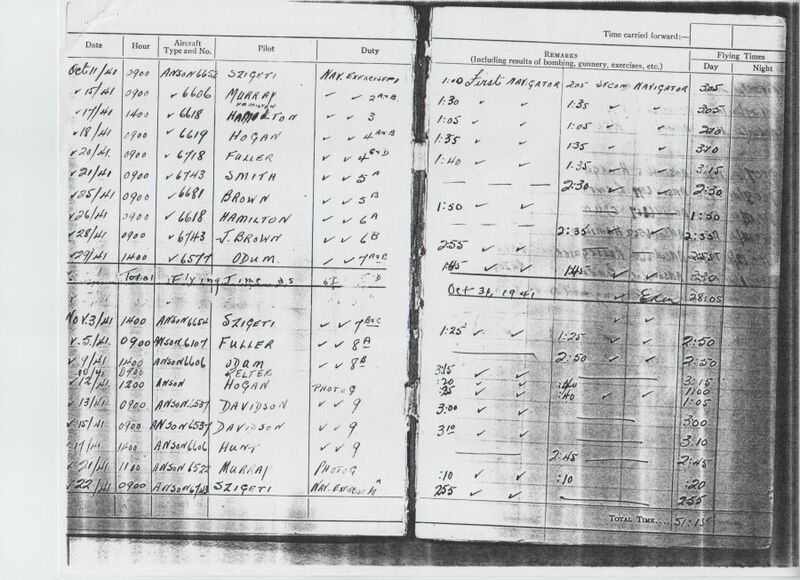 Particulars of Death Aircraft was shot down by a German night fighter, 29 April 1943 in vicinity of Leba (near Lauenburg, Germany). Body washed ashore and buried in Leba. 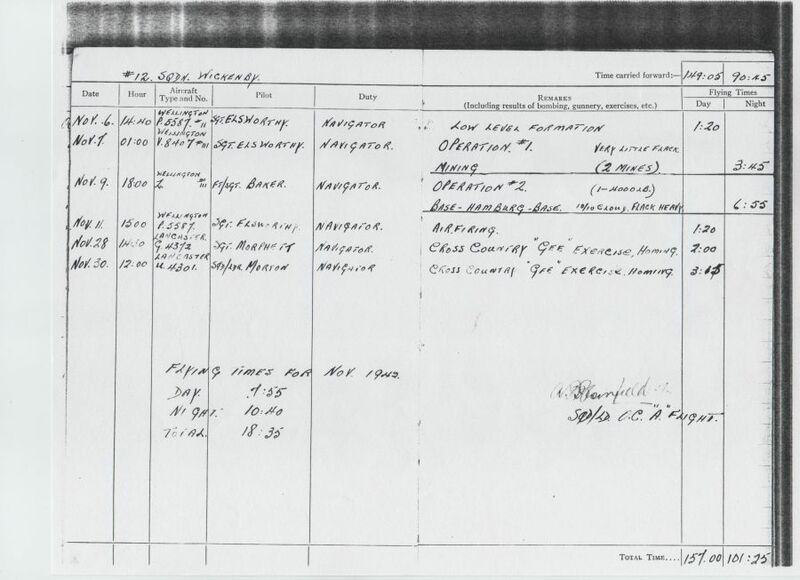 Lancaster ED408; Crew were 1315743 Sergeant G. Elsworthy (pilot), J10677 F/O B.V.L. Veira (navigator), 1311073 FS W.E. Freeman (WAG), 143857 P/O J.J.L. 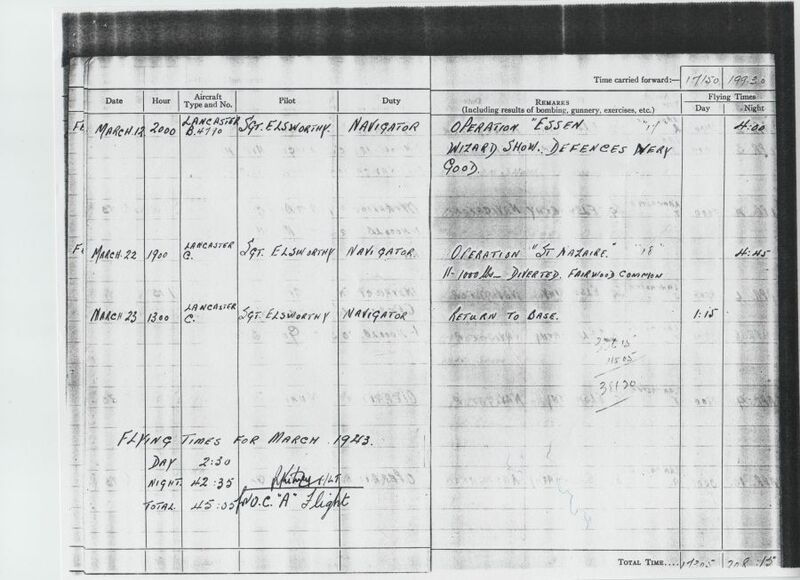 Haddow (bomb aimer), 621910 Sergeant E.A. 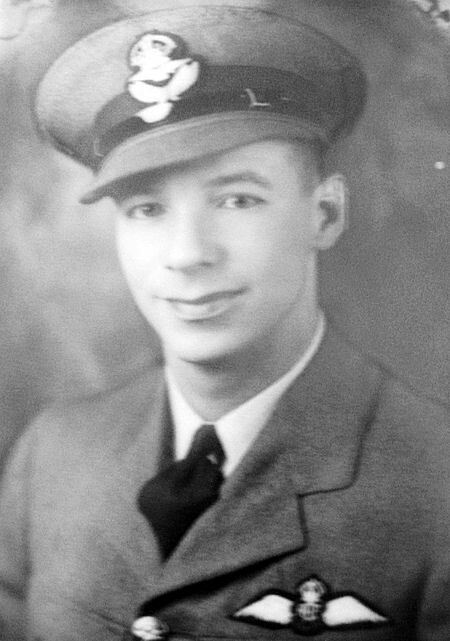 Pye (flight engineer), 989136 Sergeant C.W.S. 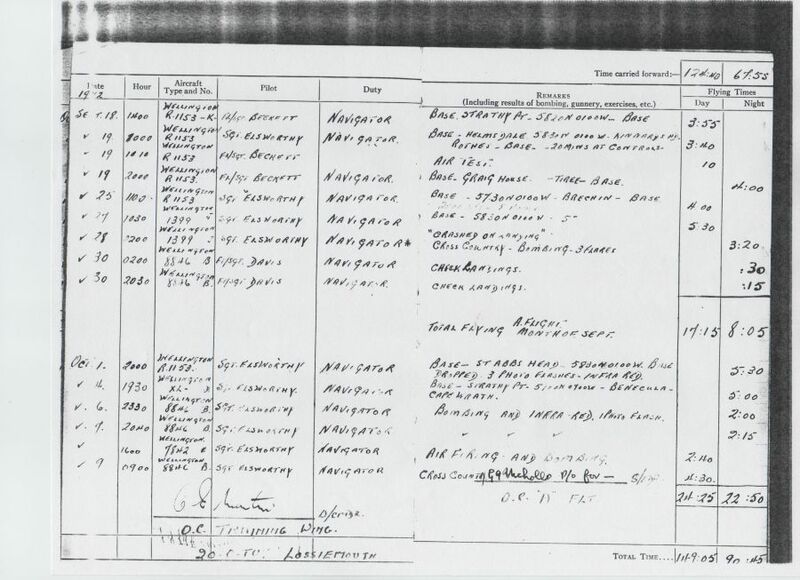 Downes (mid-upper gunner) and 930059 Sergeant R.C. Grant (rear gunner). 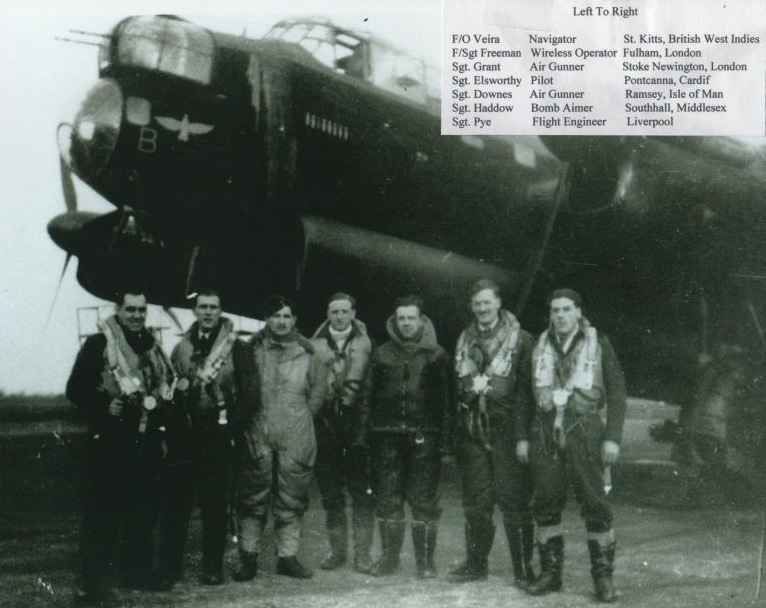 No.12 Squadron. Aircraft carrying four 1,500 pound sea mines when it took off. On 12 December 1944 his widow attended an investiture at Government House, Ottawa, to receive her husband’s Distinguished Flying Cross. 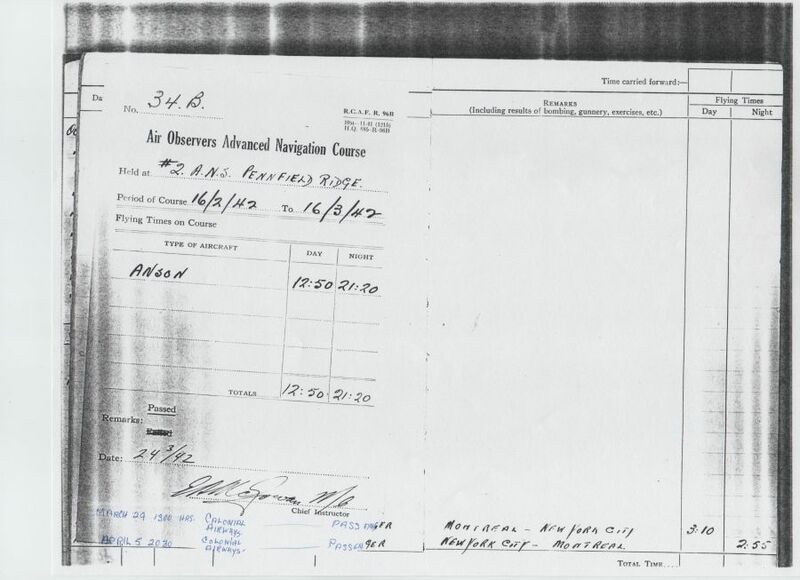 The Department of National Defence provided her with a rail ticket and $ 10.00 expenses. 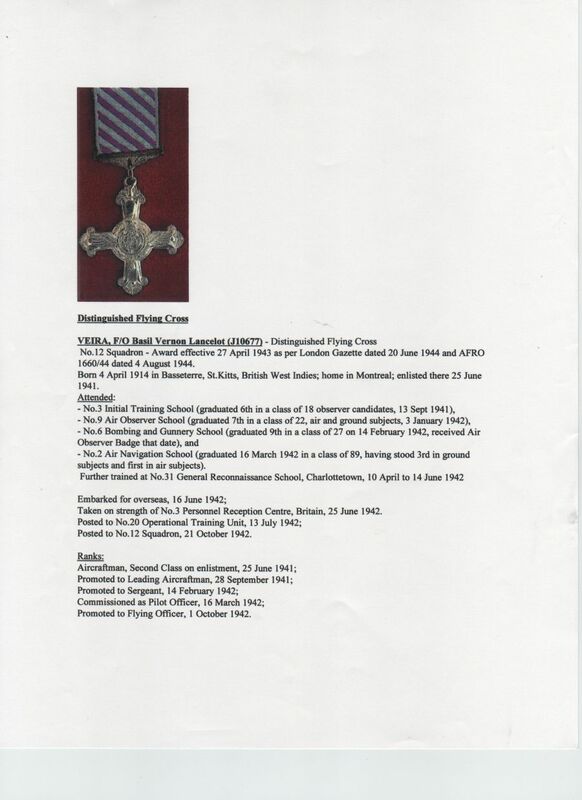 It is interesting to note that this investiture was attended by 28 other next-of-kin receiving awards on behalf of deceased family; the list of those attending includes not only Mrs. B.V.L. Veira but also Mrs. D.E. 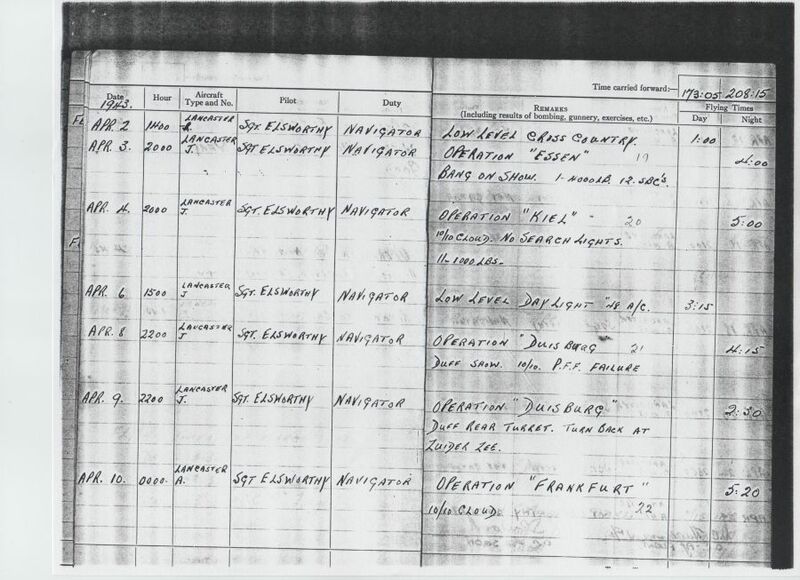 Hornell (picking up her husband’s posthumous Victoria Cross). 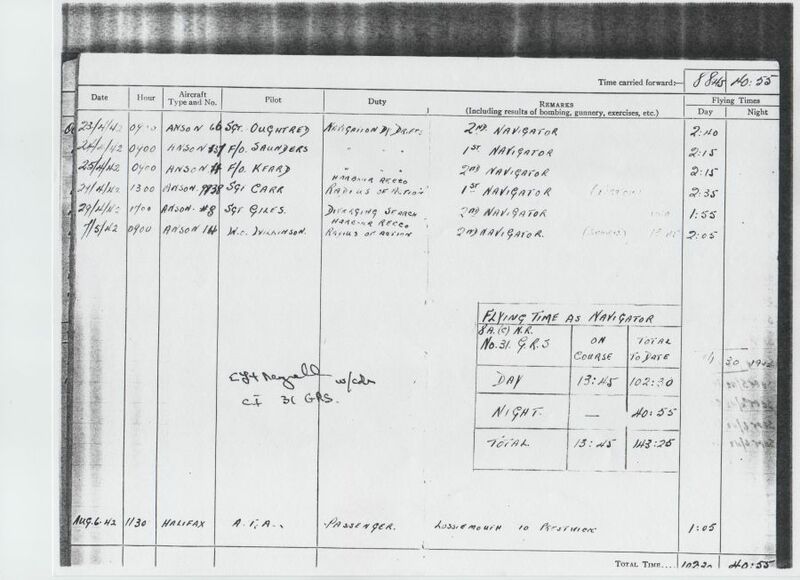 This information is not on his personal file but is found in RCAF file 305-4-3 “Honours and Awards – Fifth Investiture at Government House”, National Archives of Canada, RG.24 E.1, Volume 3350.Award presented to next of kin, 12 December 1944. Below: Yearly reunion at what was RAF Base Wickenby where #12 Squadron was stationed. Had gone to Montreal to study at McGill University in Science in 1939 – he is listed in the university’s Honour Roll. He later enlisted. This is a quick sketch of the background and air force career of P/O E.D. 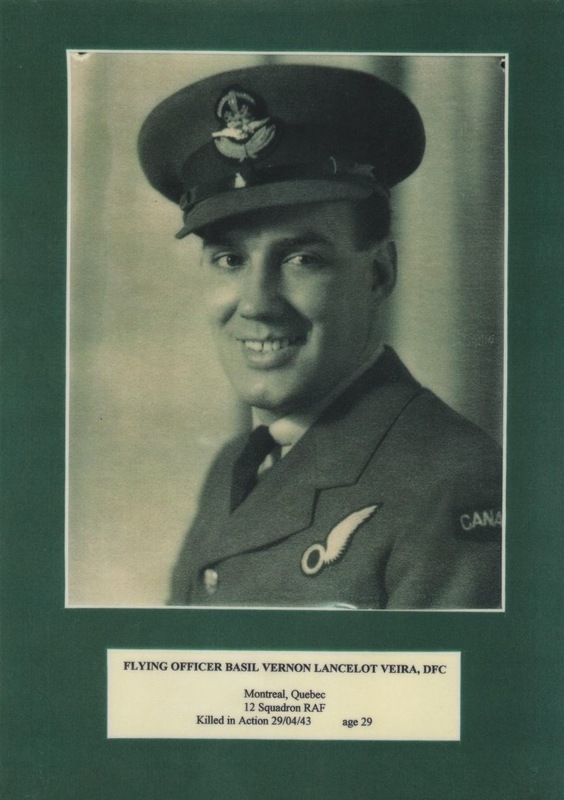 Vanier, one of the number of individuals from the Caribbean who entered the RCAF during the Second World War. This presentation is largely to show his various movements from the time he left the Caribbean in 1939 until he died in action in 1942. Moreover, it attempts to focus largely on statements about his positive character, one that likely would have served him well if not for the unfortunate circumstances of a short operational career. 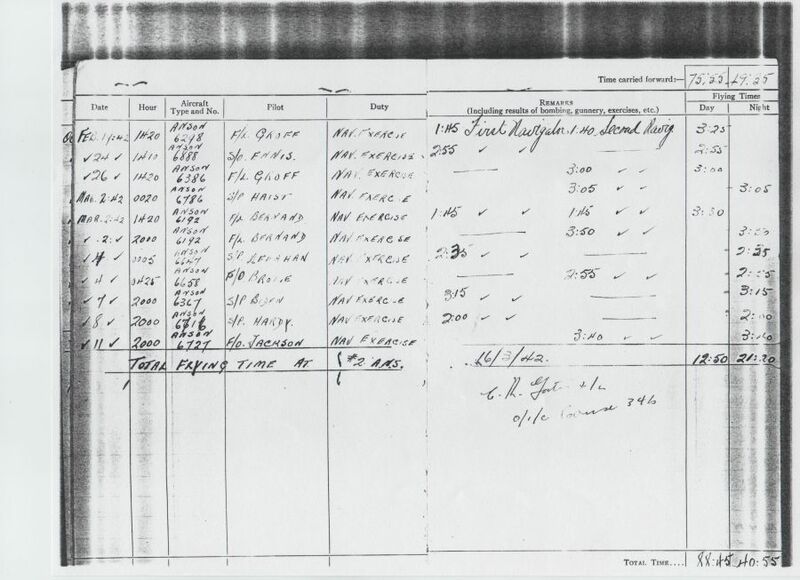 Completed an interrview for the RCAF Special Reserve – July 1940. Interviewing officer Pilot Officer C.S. 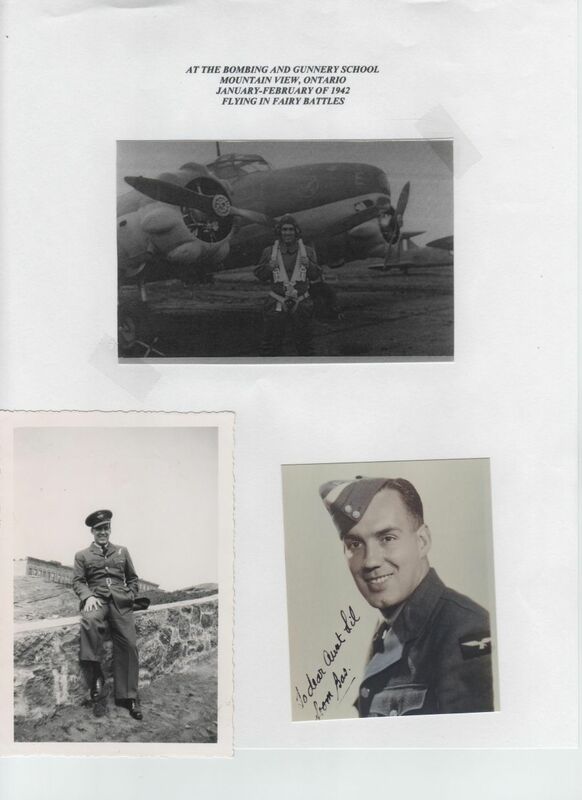 Goudreau noted on interview form “Well recommeded … quick intellect, polite, very willing and ambitious. Pleasant …” and suggested Vanier would likely make officer at end of his training. Posted to No. 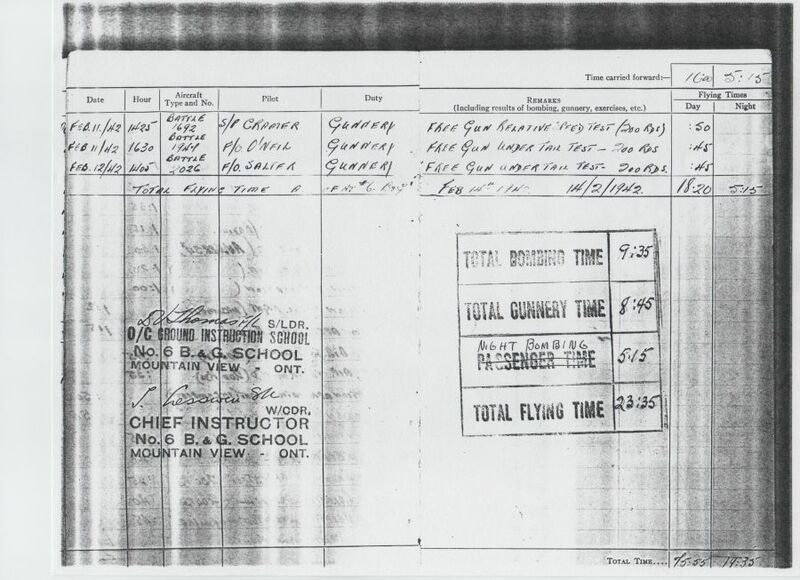 8 Elementary Flying Training School, Eburne (Sea Island, Vancouver) British Columbia – 14 January 1942. Completed Course No. 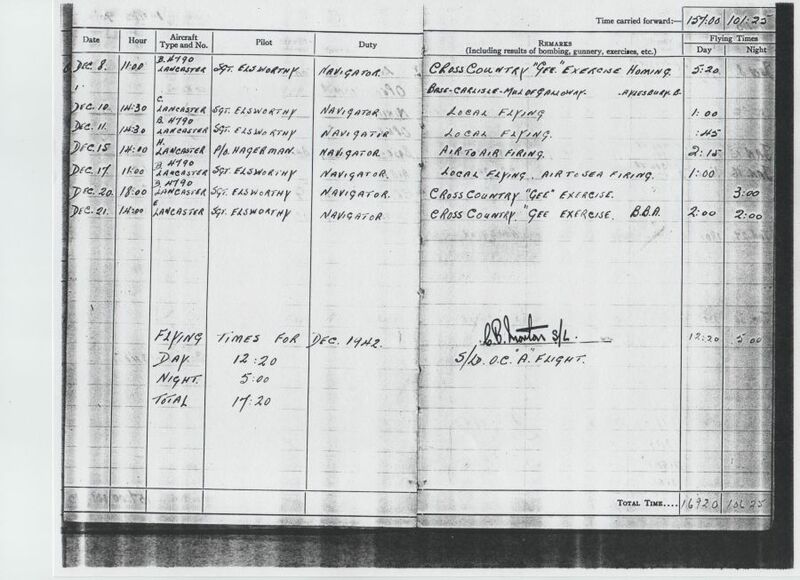 18, 19 January 1941 to 5 March 1941; for the Ground Training portion of the course scored 90% and finished 1st in a class of 32 with comments “Conduct excellent. Outstanding in class work. 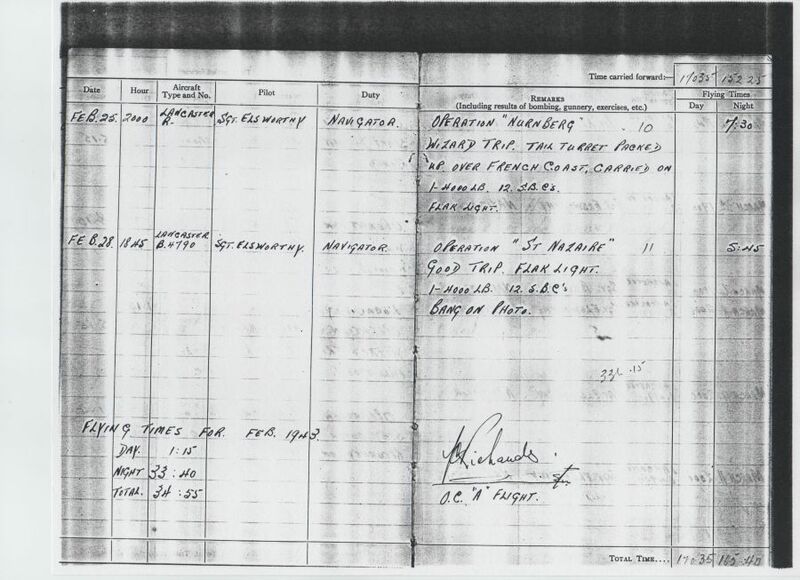 Works hard and is very keen.” Flew Tiger Moth training aircraft and listed as average pilot at this stage. At No. 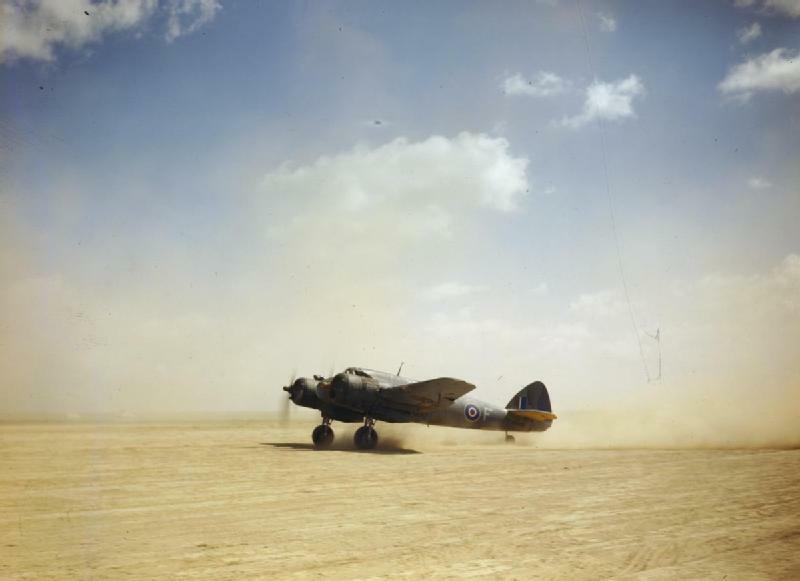 4 Service Flying Training School, Saskatoon, Saskatchewan – 18 March 1941 to 11 July 1941. Completed Course No. 23 4th overall and noted as “An above-average student, possessing a high degree of ability and industry. Aptitude and attitude towards the service, excellent. Showed a good attitude towards his duties. Distinguished Pass” Flew Cessna Crane twin-engined aircraft.